If you've ever wondered if the relevance of any emoji is on the incline or the decline, emoji trends will give you this insight. Stats are from the impressive Google Trends which reflect when interest in any given emoji peaks. "Interest" in this instance is how many people search for that specific emoji on Google. Each graph is relative to the emoji being viewed. 100 represents when that emoji saw its highest number of searches. 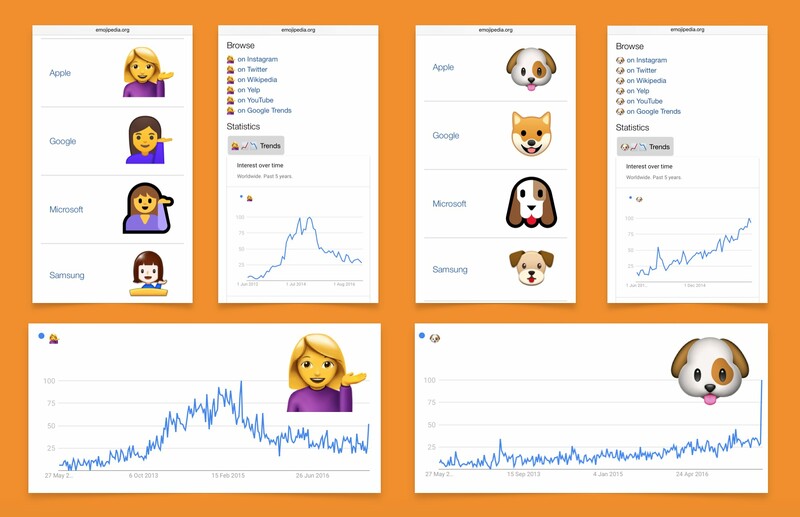 Click or tap through to Google Trends to compare one emoji against another.